Suzuki Talent Education Program hasn't added a story. This year, the Suzuki Talent Education Program (STEP) is hosting its first annual Suzuki Concerts in Care concert series. Suzuki Concerts in Care brings quality classical music to the lives of senior citizens residing in the city of St. John’s, and provides a venue for the performers of tomorrow to practice their skills as classical musi cians. These concerts started in October and will continue over eight weekends in 2016-17 until June. The concerts will feature performances by over 100 students who study violin, viola, and/or cello. These students range in age from 3-17. All performances will take place at various retirement homes in the St. John’s area. For the past 33 years, the teachers and volunteers with STEP have been working to advance the art of music, build community, and provide accessible music education to the children and young adults of St. John’s. Through music, STEP strives to nurture the growth of young leaders who will continue to contribute to our communities as well-rounded, competent adults. We are delighted to bring our music, at long last, to other citizens of our city. In order to ensure that Suzuki Concerts in Care achieves the greatest success, we are seeking sponsorships. We are offering five types of sponsorships, each with fantastic value, and hope that you, your business, or your organization will assist us. As a registered charity (charity number BN 89220 5444 RR0001), STEP is happy to provide tax receipts. Suzuki Talent Education Program hasn't posted any updates yet. Vivaldi Sponsorship includes a small-sized logo on the STEP website, as well as a quarter-page advertisement in the Concerts in Care programmes. You will also be given a pair of complimentary tickets to one concert of your choice. Bach Sponsorship includes a small-sized logo on the STEP website, as well as a quarter-page advertisement in the Concerts in Care programmes. Additionally, you will be invited to display a stand-up banner and brochures at one concert. You will also be given a pair of complimentary tickets to one concert of your choice. Brahms Sponsorship includes a medium-size logo on the STEP website, as well as a quarter-page advertisement in the Concerts in Care concert programmes. Additionally, you will be invited to display a stand-up banner and brochures at four of the concerts. Furthermore, you will be given a pair of complimentary tickets to two concerts of your choice. Mozart Sponsorship includes a large-sized logo on the STEP website, as well as a half-page advertisement in the Concerts in Care programmes. Additionally, you will be invited to display a stand-up banner and brochures at all of the concerts. 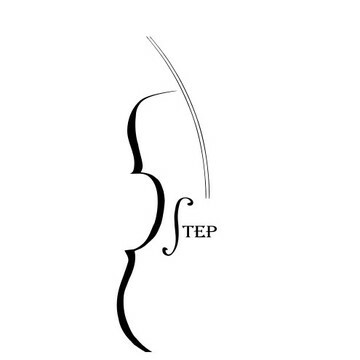 Furthermore, you will be given a pair of complimentary tickets to every performance of STEP events throughout the year, including the Concerts in Care series, group-class concerts and faculty recitals. Beethoven Sponsorship includes a private music performance by members of the STEP faculty at your choice of location. It also includes a large logo on the STEP website, as well as a full-page advertisement in the Concerts in Care programmes. Additionally, you will be invited to display a stand-up banner and brochures at all of the concerts. 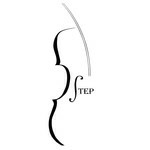 Furthermore, you will be given a pair of complimentary tickets to every performance of STEP events throughout the year, including the Concerts in Care series, group-class concerts and faculty recitals.